Location of the resort , room , food & the beaches nearby . Also many other options of good restaurants within walking distance of this resort . The rooms were reasonably nice and the property does have an attached beach. I liked the breakfast very much and the Room was comfortable and good though the roofs were with cob webs here and there. Very nice stay, staff were pretty helpful, very courteous, breakfast was always absolutely amazing, the hotel was clean and cosy. 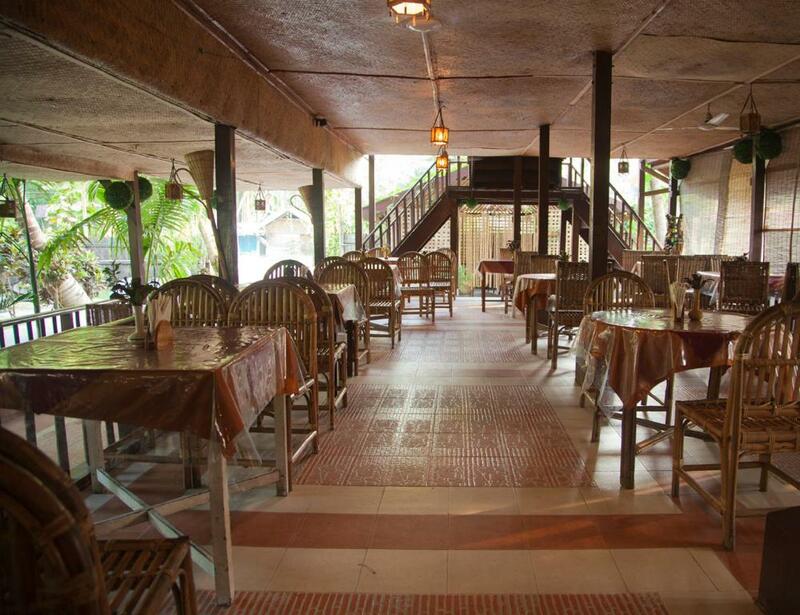 Good location with a lively bar and excellent music. Location was awesome. Lounge bar and restaurant were great. Food was delicious. Staff was courteous. Breakfast was really good specially including Indian dishes like dosa, poha, chola bhatura etc. Location of resort is very good. Market, bike renting places, veg restaurants are there in the vicinity. We selected to stay at Lagoon Suite - Beach View, which was a great decision as we were 2 minutes away from the beach. Food and service were very good. rooms are spacious and cosy. 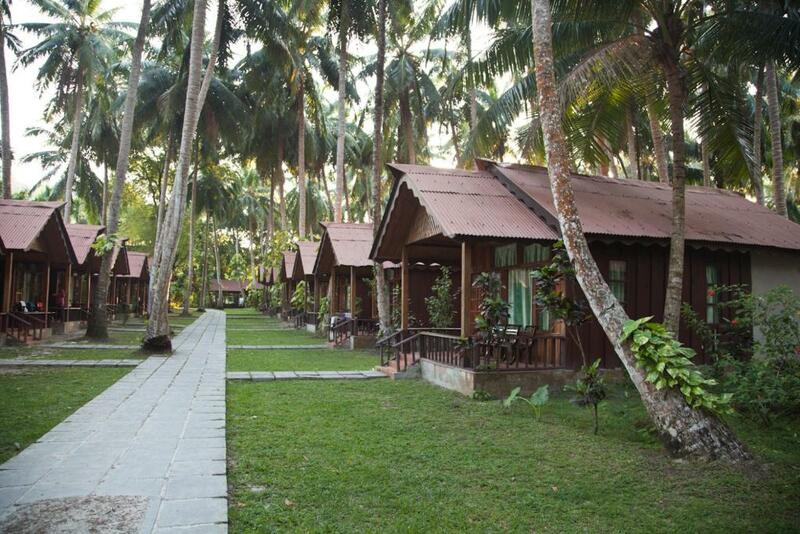 Compared to other properties and hotels and resorts, liked nothing. Lacks basic facilities, untrained staff at reception makes a mess of your holidays. Hilfsbereites und sehr freundliches Personal. Preis/Leistung passt. Gute Lage, weil man hier abends noch viel unternehmen kann. 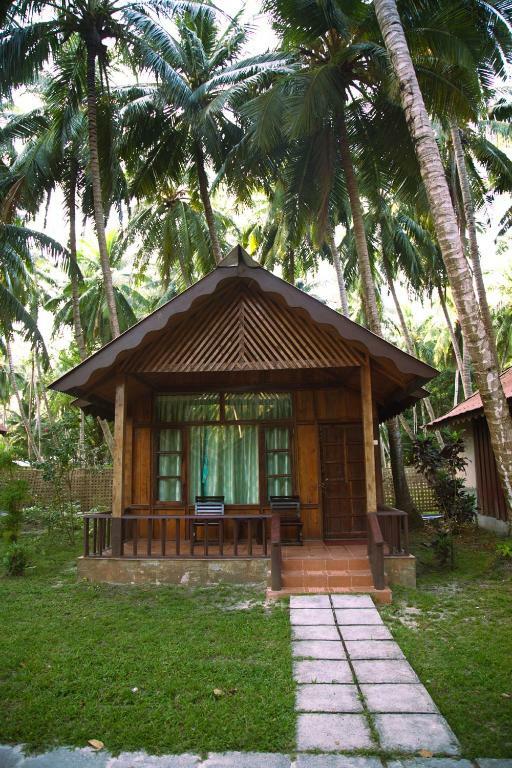 Symphony Palms Beach Resort This rating is a reflection of how the property compares to the industry standard when it comes to price, facilities and services available. It's based on a self-evaluation by the property. Use this rating to help choose your stay! 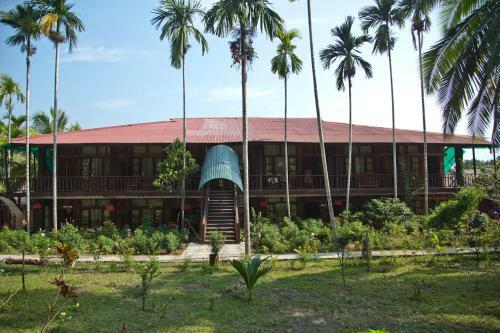 Offering a private beach area, Symphony Palms Beach Resort, a beachfront property is located in Havelock Island, just 350 feet from the Govind Nagar Beach. The accommodations will provide you with a TV and air conditioning. There is also an electric kettle. Featuring a shower, private bathroom also comes with free toiletries. You can enjoy garden view from the room. At Symphony Palms Beach Resort you will find a 24-hour front desk, a garden and a bar. Other facilities offered at the property include a ticket service and a tour desk. The property offers free parking. The Havelock Main Market is 1.2 mi and the Radha Nagar Beach is 1.9 mi. The Veer Savarkar International Airport to Port Blair Harbor is 3.7 mi and the Havelock Harbor to the property is 1.2 mi. The in-house restaurant, Charcol serves Indian, Chinese and continental delights and refreshing beverages can be enjoyed at the Venom Bar. 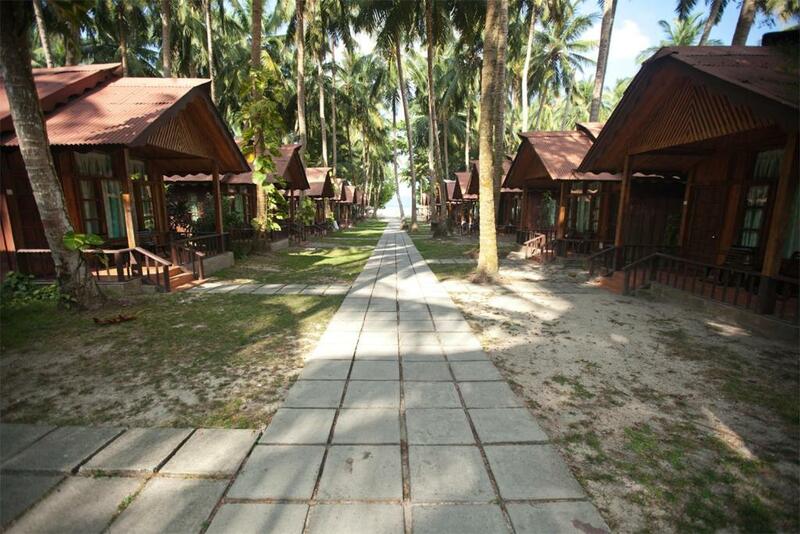 When would you like to stay at Symphony Palms Beach Resort? 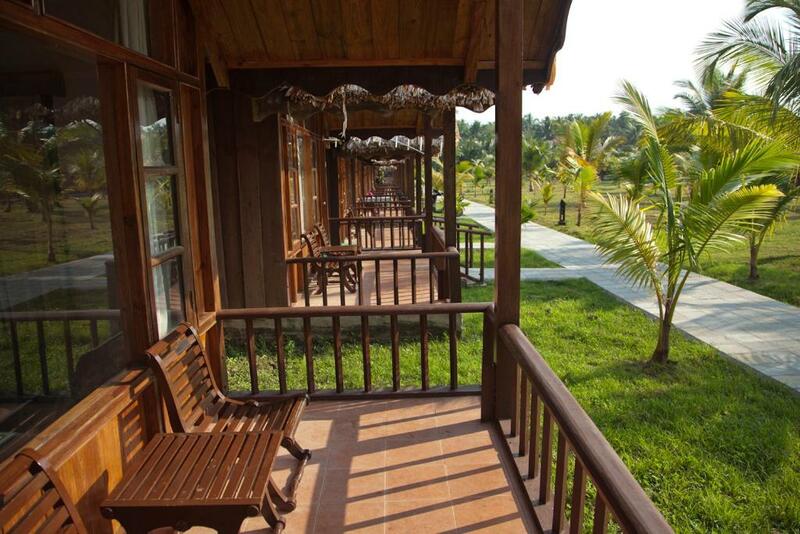 The accommodations will provide you with a TV, balcony and air conditioning. There is also an electric kettle. Featuring a shower, private bathroom also comes with free toiletries. You can enjoy garden view from the room. House Rules Symphony Palms Beach Resort takes special requests – add in the next step! One child under 12 years is charged INR 2500 per night when using existing beds. All children under 12 years are charged INR 3000 per night for extra beds. 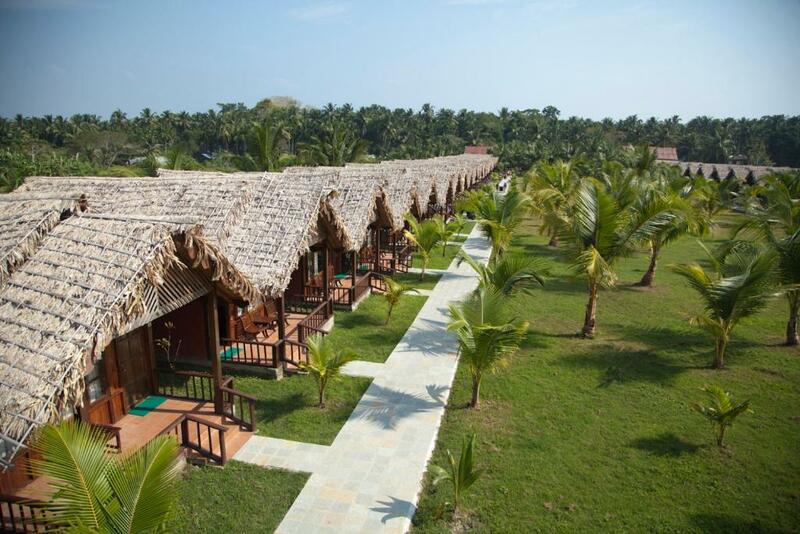 Any additional older children or adults are charged INR 3000 per night for extra beds. Symphony Palms Beach Resort accepts these cards and reserves the right to temporarily hold an amount prior to arrival. Please inform Symphony Palms Beach Resort of your expected arrival time in advance. You can use the Special Requests box when booking, or contact the property directly using the contact details in your confirmation. In spite of specific statement in the reservation that the cottage will have a sea view, it was not provided to us in spite of our insistence with the staff at the reception who were thoroughly obstinate. The food is terrible, as much as we loved the near by cafes and restaurant, the food at the resort was abysmal and unreasonably expensive. The dinner and the breakfast buffet provides no local food, it’s mostly North Indian cuisines. We preferred eating at other places. They have only one kind of room. We had to vacate a day early because of a government circular warning tourists about a storm, the resort did not refund a single penny to us that was already paid in advance. One day’s rent was completely wasted. I tried to get information for a week or more before my arrival which wasn't possible because of no communication via email or by telephone by the property. There was no wifi at all which was promised in the advertisement and in my booking. We loved what we saw, but were greeted with a rude receptionist. Wifi wasn’t available, which was one of the reasons we chose it, and the staff was ungracious. For the 10k a night price, it would be expected of them to be a little more helpful. Room service was good and quick. After sometime the food seems repeatative.Wi fi is only available at reception which is again very slow.Slightly on the expensive side. The amount which they were charging befitted luxury rooms and better amenities. The cottages were spartan to say the least, with no hint of luxury. The breakfast buffet hardly had a spread and one was limited for choices if one could manage a seat among the rush of guests. 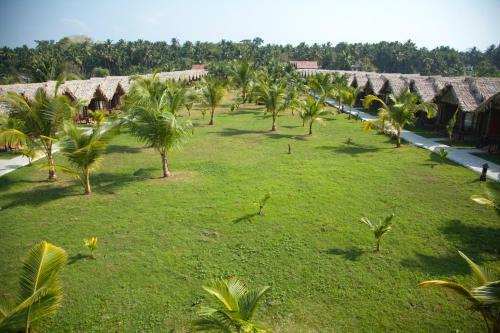 The resort is definitely not deserving a four star status, it is three star at best. And the only reason is that the management does not seem interested in basic improvements apart from daily operations. The location and area available in the property offers great opportunities. 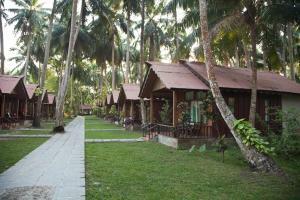 Given the right direction from top, this resort can emerge as the most sought after destination in Havelock. No wifi & internet connection. Property refused to give me Tax Invoice. Unfriendly and untrained staff. Despite multiple communication with the front office and managers, they made us change the room mid way through the holidays causing lot of problems. There is no Wifi. THey could not even offer assistance for extending the booking of the room. Overall, not a great stay. In a normal situations, I would have liked a refund of my money but don't know who to even talk to. Would not recommend to anyone. The garden lighting was dim. Frequent power cuts was irritating. No Internet connectivity except restaurant. Rooms don't have basic facility of hot water. there is no internet or wifi even at lobby. Staff is un-trained at reception. Managers also don't care. Stay here if you want to make a mess of your holiday plans.